Photo Credit: Jesper SkouboellingD’Angelo is making progress with his long-awaited album, which will mark his first studio project in more than a decade. One of the crooner’s producers, Russell “The Dragon” Elevado, shared three video clips of their latest recording sessions at Henson Recording Studios in Los Angeles. 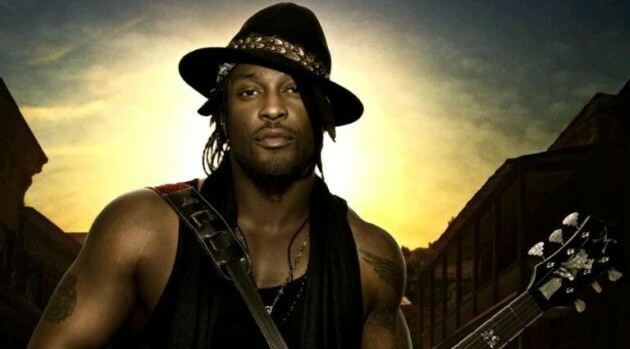 In the clips, which were posted to Elevado’s YouTube page, fans will see D’Angelo vibing out to a funky beat while guitarist Pino Palladino plays various riffs on a track called “Sugah Daddy.” In another video, Pino contributes to a song called “The Charade” and famed drummer James Gadson appears in another.